Good news and bad news for FDK advocates – the Board of Supervisors (BOS) all want FDK, but it seems they don’t want to pay for it. Based on BOS Chairman Sharon Bulova’s comments at Tuesday’s joint budget meeting with the FCPS School Board, it doesn’t appear that funding from the county for teacher raises will happen either. There was no mention of Supervisor Gerry Hyland’s proposed amendment to fund Full Day Kindergarten from the Board of Supervisors purported $30 million in surplus funds resulting from unexpected increases in corporate taxes. Hyland may not have mentioned it because we learned at this meeting that the county does not really have a surplus. They are, according to the county executive, $26 million in the hole. Full Day Kindergarten costs $7.3 million. 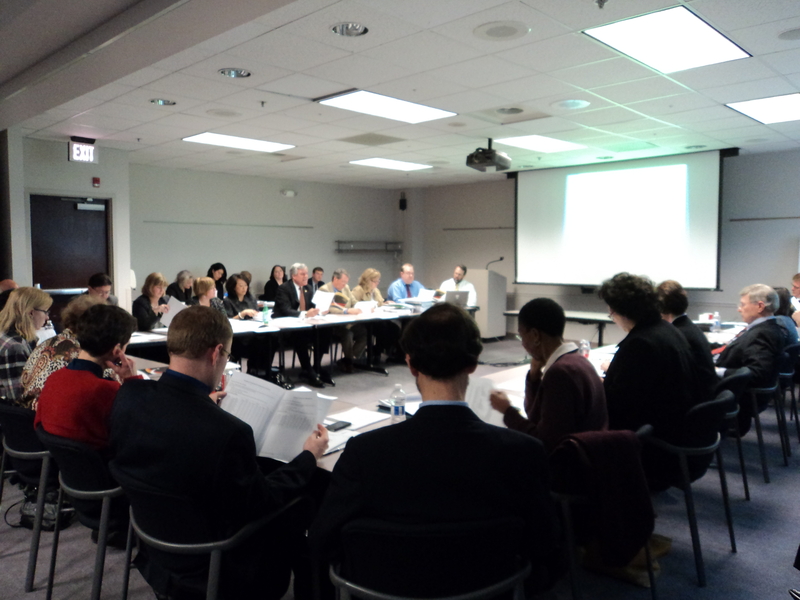 Supervisors questioned FCPS officials about how big a priority FDK was for the school system. Dr. Dale told Supervisors he was looking at a three-year implementation for FDK at a cost of $2+ million per year. That didn’t sit well with Supervisors John Foust or Cathy Hudgins. FCPS repeatedly states that the economic downturn is to blame for not completing the FDK roll-out that began in earnest in 2006. However, in spite of the recession’s onset, the School Board did, in fact, vote to expand the FLES program (foreign language in the elementary schools). I’m a dual language speaker and support foreign language instruction. But if FDK has always been FCPS’ priority, why were they expanding programs that serve only 10% of the student population rather than implement FDK in more schools? I’m posing the question because several members of the public posed that exact question to FCPS when they voted to expand FLES a few years ago. Everyone seems to be giving FCPS a pass that the recession is solely to blame for not fully implementing FDK. It’s not and that is a fact. They had options. How is the superintendent going to handle this one? Before parents resurrected the FDK issue, the number one priority for the School Board was staff and teacher raises. I know for a fact that teacher morale is already low. I speak to a lot of teachers in my advocacy work and I know their increased workloads are really tough. The student body brings so many challenges from special ed to non-english speaking and poor students. In addition, teachers today are faced with an endless flow of assessment and testing requirements. Our school system is great because of our quality teacher workforce. 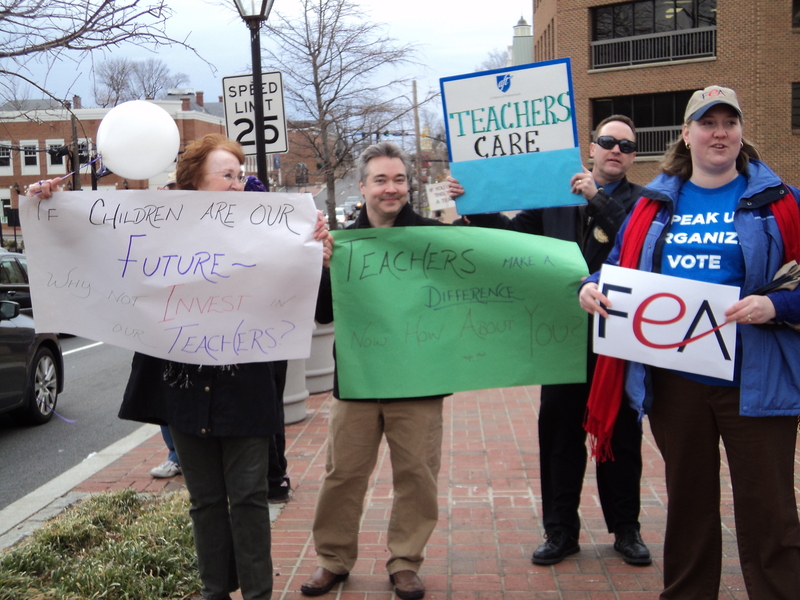 We have a great curriculum too but without great teachers, the curriculum alone can’t maintain FCPS’ fine reputation. So here comes the reality check. The supervisors acknowledged their appreciation of all school employees, but I didn’t hear anything in this meeting to indicate the school system should expect more. FCPS already receives 53 cents of every county tax dollar as part of the $2.2 Billion FCPS budget. That means it will be up to taxpayers, parents and teachers to hold FCPS’ feet to the fire in upholding the School Board’s promises on FDK and teacher compensation. As Supervisor Foust told Dr. Dale, “Something else may have to give.” What “gives” still remains to be seen, however, since Dr. Dale has provided no indication to date of how he would pay for FDK and/or employee raises. Looks for things to heat up soon. Lots of promises have been made. It’s also an election year and a number of School Board members have serious campaign challengers.